Free the fairies from evil pirates! Evil Pirates...are there any other kind? Anyway, they have infiltrated Fairy Island and caputured your fairy brethren! 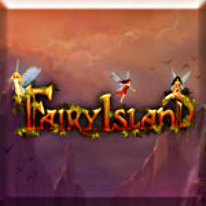 Now you must travel to the heart of Fairy Island to free them by breaking the gems in which they are trapped by selecting groups of three or more. 4 different game modes and hidden object mini games will keep you hooked to Fairy Island!